Put the verbs in brackets into the Pat Perfect to complete the following sentences. She said she was really sorry for what she …………………… (do). It wasn’t surprising that she was so tired because she …………………… (not / sleep) for three days. They were very excited because they …………………… (not /see) a lion before. They road was blocked because a truck …………………… (break down). She couldn’t afford a pair of shoes because a day before she …………………… (spend) all her money. He felt very nervous on the plane because he …………………… (not/fly) before. The police couldn’t arrest the burglar because when they arrived, the burglar …………………… (leave). When he …………………… (pay) the bill, we left the restaurant. She said she was really sorry for what she had done. It wasn’t surprising that she was so tired because she hadn’t slept for three days. They were very excited because they hadn’t seen a lion before. They road was blocked because a truck had broken down. She couldn’t afford a pair of shoes because a day before she had spent all her money. He felt very nervous on the plane because he hadn’t flown before. The police couldn’t arrest the burglar because when they arrived he had left. When he had paid the bill, we left the restaurant. Complete the text using the Past Simple or Past Perfect of the verbs given. There were over 700 survivors of the Titanic disaster, and each one ……………. (have) a unique story. Among the most poignant tales is that of Michel and Edmond Navratil, who ……………. (know) as the “Titanic orphans.” The two boys only……………. (be) two and four years old at the time they ……………. (board) the ship with their father, Michel Navratil, Sr., a Slovakian tailor who was recently separated from their French mother, Marcell. She ……………. (allow) Navratil, Sr. to take the boys over Easter break. Little did she know that he ……………. (arrive) on the Titanic on April 12, 1912, under the alias “Louis Hoffman” with the intention of moving to the United States. After the boat ……………. (hit) the iceberg, the boys ……………. (place) on the last lifeboat and then ……………. (rescue) by the ship Carpathia. Their father tragically ……………. (perish). When the boys ……………. (arrive) in New York City, they ……………. (identify) as “Louis” and “Lola”—names their father……………. (give) for the passage across the Atlantic. Fellow survivor Margaret Hayes ……………. (take) them in while a frenzied search to find their mother ……………. (begin). But since the boys ……………. (speak) French, it ……………. (take) weeks for their story to circulate back to their mother in Europe. Finally, just over a month later, she ……………. (arrive) in New York City where they were joyously reunited. Their mother, only 21 years old, ……………. (not ask) them about the wreck but instead said, “I do not want them to think about that,” she said. “They must only be happy from now on—only happy; no more distress.” Edmond ……………. (die) at the age of 43 after fighting in the French Army during World War II. Michel Jr. ……………. (live) longer than any other male Titanic survivor. He ……………. (die) in 2001 at the age of 92. There were over 700 survivors of the Titanic disaster, and each one had a unique story. 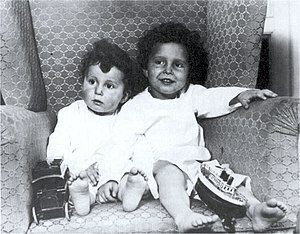 Among the most poignant tales is that of Michel and Edmond Navratil, who were known as the “Titanic orphans.” The two boys were only two and four years old at the time they boarded the ship with their father, Michel Navratil, Sr., a Slovakian tailor who was recently separated from their French mother, Marcell. She had allowed Navratil, Sr. to take the boys over Easter break. Little did she know that he had arrived on the Titanic on April 12, 1912, under the alias “Louis Hoffman” with the intention of moving to the United States. After the boat hit the iceberg, the boys were placed on the last lifeboat and then were rescued by the ship Carpathia. Their father tragically perished. When the boys arrived in New York City, they were identified as “Louis” and “Lola”—names their father had given for the passage across the Atlantic. Fellow survivor Margaret Hayes took them in while a frenzied search to find their mother began. But since the boys spoke French, it took weeks for their story to circulate back to their mother in Europe. Finally, just over a month later, she arrived in New York City where they were joyously reunited. Their mother, only 21 years old, did not ask them about the wreck but instead said, “I do not want them to think about that,” she said. “They must only be happy from now on—only happy; no more distress.” Edmond died at the age of 43 after fighting in the French Army during World War II. Michel Jr. lived longer than any other male Titanic survivor. He died in 2001 at the age of 92. Finish sentences using Past Perfect. Last night I didn’t have to cook because ………………………….. . I recognised him immediately because ………………………….. .
My fridge was empty because ………………………….. . I couldn’t afford those shoes because ………………………….. . I ………………………….. before I arrived in the USA. I didn’t pass the exam because ………………………….. .
We missed the next flight because ………………………….. . I couldn’t talk to him at the party because ………………………….. . I didn’t feel like going to the movie because ………………………….. . I wasn’t hungry because ………………………….. . I ………………………….. before I met him. I was surprised to find out that he ………………………….. .